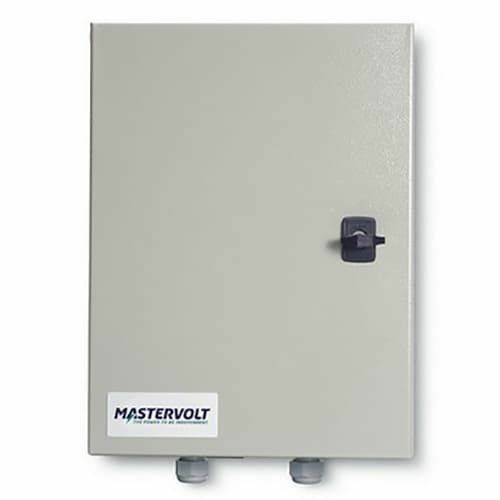 Mastervolt supplies three automatic switching systems for capacities of 6 9 and 13 kW that - combined with an IVET transformer - adjust shore power to the onboard system. As a result a 230V/50Hz system can easily function with an American or Caribbean shore connection. Do ensure that the frequency on board (50 or 60 Hz) is the same as the frequency of the shore current. Soft Start is an automatic switch that manages the current resulting from connection to the shore. The inrush current from the isolation transformer is suppressed to prevent the shore power fuse from blowing.